Testing was conducted on a specially prepared test stand running under VMware GSX Server. “Clean” Windows XP SP3 and Windows 7 x86 virtual machines were cloned for each antivirus product. The default settings recommended by each product vendor were used when installing the antivirus products. All of the actions recommended by the installation programs (e.g., system restart, updating, etc.) were performed. All protection components that were not automatically enabled after installation were enabled manually. Testing of the self-protection capabilities was conducted manually or using specially developed utilities that imitate attacks. 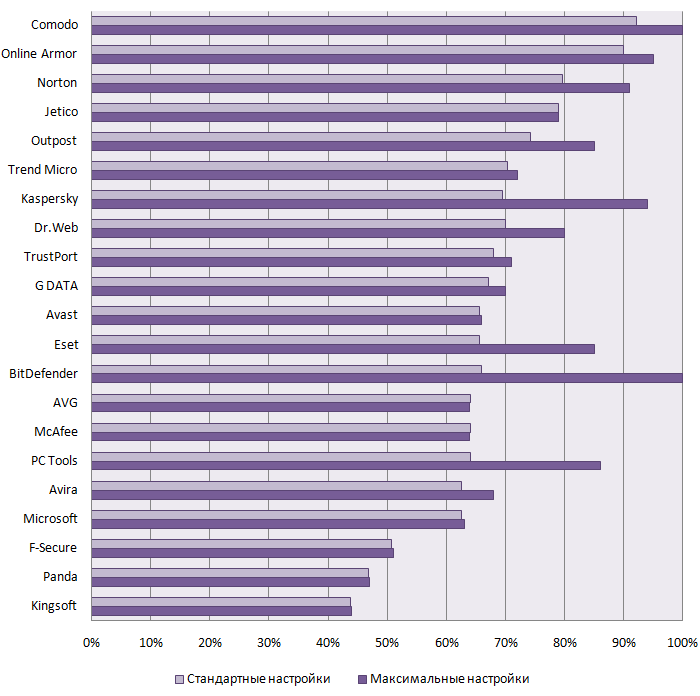 After each attack, the correct operation of the antivirus product (including individual modules, active processes, services and drivers) was verified. If one of a product's processes was terminated during process termination / modification testing (i.e., if the attack was successful), the remaining processes were attacked again. Installation of an antivirus program on a clean virtual machine. A separate clean virtual machine was used for each antivirus program (step 1). After testing the antivirus product’s self-protection capability based on one of the criteria, the virtual machine was rolled back to its original state after product installation (step 4).